In its simplest terms, cloud computing means accessing and storing data online rather than on a hard drive. In fact, you likely use cloud-based applications or services every day. Google Docs, Dropbox, SugarSync and Amazon Cloud Drive are all cloud applications. If you work on a Google Chromebook, you’re working on a device that is completely connected to the cloud. Cloud computing is making our lives easier — and it’s also playing an important role in web design. Losing critical information and files, even just for a day, can seriously damage a business. As a web designer, your reputation is on the line. Don’t rely on a hard drive for file storage and instead move to the cloud, where security and backups are the norms. Cloud systems like MozyPro allow users to schedule backups at their convenience, ensuring their work doesn’t mysteriously disappear or vanish if their system crashes. Floods, fires, break-ins and even power surges can all result in lost files if stored on a hard drive. But, with the cloud, your files are always protected. Is your web design business scaling up? Are you taking on an influx of new clients? Expanding businesses prefer the cloud for its unlimited storage capabilities and ability to store large files and vast amounts of data. When you need to scale up, you can. The cloud can fluctuate to meet your web design needs. Having the option to scale up or scale down adds to your company’s competitive edge, too. Most importantly, all of your files can be accessed from anywhere there is an Internet connection, allowing you to work on the go or collaborate with your team remotely. Collaborators, rejoice! The cloud provides access for multiple users. With granted access, your team can access files and data stored in the cloud at any time from any location. This means you don’t have to search your own computer for an important file or send a report via email. With the cloud, all files and project deliverables are accessible to everyone with access permissions. Additionally, cloud computing allows one or more employees the ability to work simultaneously in real-time on a project, whether they’re in the office or working from home. Cloud providers roll out software updates regularly, so you don’t have to worry about maintaining the system yourself. This frees up time for you to focus on your web design business instead of tracking those annoying software updates. Let’s face it: nobody wants to be tasked with that job. Hardware is costly. The cloud? Not so much. Cloud computing cuts the high price of hardware. Many cloud services offer a subscription-based model, allowing you to pay as you go and for as long as enjoy using the service. 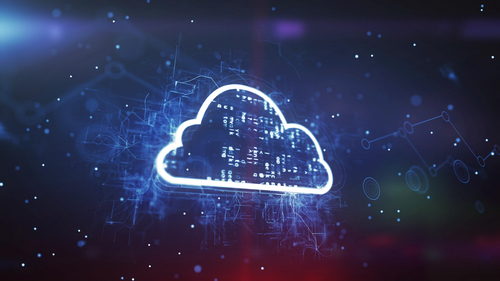 Plus, setup and management of cloud services is much easier and is even more environmentally-friendly than standard on-site file and data storage systems. So, if your company is looking to cut its carbon footprint, you may want to look to the cloud.